The important influence of the places in which we live, work and play on our mental health and wellbeing was the topic of a recent lively discussion at the Edinburgh Science Festival 2017 organized through Centre for Research on Environment, Society and Health (CRESH). The event was chaired by Professor Jamie Pearce, (from School of GeoSciences at the University of Edinburgh and CRESH) and, in his introduction, he emphasised the policy-relevance of the event as evidenced by the Scottish Government’s newly released Mental Health Strategy 2017-2027. The Strategy details how institutions, services and organisations will work together to enhance mental health in Scotland. Especially relevant for this discussion was the acknowledgement on P8 of the report that ‘Working to improve mental health care is not just the preserve of the NHS or the health portfolio. We will be working not only across the Scottish Government, but also across the wider public services to harness the broadest range of opportunities to improve the population’s mental health…’. It is therefore acknowledged that promoting good mental health and wellbeing is not only about medical care, but also involves action to improve the ‘wider determinants’ of mental health – especially how conditions in the places where we live, work, learn and play can affect mental health and wellbeing. We were therefore interested to explore how academic research contributes to our understanding of how places affect wellbeing. Our main aim was to exchange ideas with our audience of over 70 people, representing a range of views from those living in the communities in and around Edinburgh. Several participants also reported on knowledge and experience gained in their professional lives, including medical practitioners, public health specialists, leaders in independent organisations whose mission relates to mental health and wellbeing (such as Support in Mind, and the Cyrenians), urban planners and architects and social service providers. The event started with a series of comments from a panel of academic researchers representing a variety of social science disciplines, who introduced ideas from academic research that may help to frame thinking on these issues. Professor Sarah Curtis (Professor Emeritus at Durham University) used her own experience of volunteering in the Edible Garden project at the Botanic Gardens to illustrate ideas from Health Geography about Therapeutic Landscapes, originally put forward by Wil Gesler (e.g. in his book on Healing Places). This conceptual framework suggests we can think of places in terms of: material and physical landscapes (agreeable and relaxing green spaces, water spaces and built environments), social landscapes (supportive social relationships and community processes) and symbolic landscapes (features of our environment that stand for beliefs, principles and memories that are important for us). All of these dimensions of places, experienced in the different settings where we spend our lives, can be important for creating and maintaining our sense of mental wellbeing. These features of landscapes, the ways they change, and how different groups of people experience them over time, have been studied extensively by health geographers (e.g. reviewed by Sarah Curtis in her book Space, Place and Mental Health). Professor Steve Platt (Professor Emeritus at University of Edinburgh) then presented ideas from research in Sociology and Health Policy about what we might consider the ‘reverse’ of therapeutic landscapes; focussing on factors that are associated with risk of suicide and why suicide matters for suicide prevention. He used the example of the iconic Golden Gate Bridge in San Francisco, which has been a ‘magnet’ for people intent on taking their own lives. He described the public controversies surrounding action to alter the architectural form of the bridge in order to install protective structures to reduce the suicide risk. He also underlined the evidence for socio-economic deprivation as a risk factor for suicide, with the risk of suicide being 2-3 times higher in the local areas in Scotland ranked among the worst 10% for social deprivation, as compared with populations living in areas ranked in the least deprived areas. He went on to elaborate further on the idea of suicidogenic contexts combining various dimensions that may be cultural, socio-economic, political, historical, as well as including built infrastructures and other aspects of the physical environment. The significance for wellbeing of green space, viewed from a Landscape Architecture perspective, was introduced by Professor Catharine Ward Thompson, Director of the OPENspace Centre at the University of Edinburgh’s College of Art. She underlined that, since stress is a major problem for society and is associated with physiological as well as mental illness, researchers at OPENspace, together with their colleagues from around the world, are exploring how attractive and accessible green spaces can have beneficial ‘restorative’ effects on our mental state and help us to cope better with stress. Studies using biomarkers (that measure the functioning of psychoneuroendochrine systems in the human body) show that our mental and physical states are linked, which helps to explain why environments that help to restore mental wellbeing are also helpful for our physical health. Good access to green and natural spaces in the residential environment is associated with lower levels of stress as shown by these biomarkers, as well as from self-reports of stress among people out of work and living in urban poverty. Attractive green spaces are often also places where we enjoy supportive social relationships and healthy physical exercise. Conversely, when there is a shortage of green space in the urban environment, this appears to be associated with feelings of loneliness and lack of social support. Professor Ward Thompson has published research exploring these relationships in the journal Landscape and Urban Planning and the International Journal of Environmental Research and Public Health. Findings such as these help to strengthen the case for providing and maintaining access to healthy green spaces, such as public parks and gardens, allotments, and public rights of way in the countryside. Dr Niamh Shortt (School of GeoSciences at the University of Edinburgh) leads research at CRESH relating to how aspects of consumption and retail environments are significant for behaviours linked to mental health and wellbeing. She focused her talk especially on issues associated with alcohol consumption and unhealthy drinking, which can be closely linked to mental distress and mental health conditions. While lower income groups report consuming the same, or less, alcohol on average than higher income groups, they suffer more from alcohol related harm. This has been called the ‘Alcohol Harm Paradox’. Dr Shortt presented findings from research she is leading which show that risks of unhealthy alcohol use are not only associated with individual level characteristics, but can also be influenced by the social and commercial environment. Access to and advertising of retail outlets selling alcohol is not currently controlled to the same extent as for tobacco sales, yet research is showing that there the ways people drink may be influenced by the organization and availability of alcohol retailing in their neighbourhood, and that this is especially important for those living in poorer areas who may be most reliant on their local retail facilities. This research demonstrates the importance for wellbeing of work of retail planning and licensing systems. As the discussion widened to include the audience at this event, a number of other thoughtful and important points were made. We heard from a number of representatives of relevant non-academic organizations, explaining how actions to promote mental wellbeing and to prevent and treat mental illness may draw upon research, and also contributes to knowledge about ‘what works’ to promote wellbeing. Dr Margaret Douglas, Consultant in Public Health Medicine for NHS Lothian, underlined concerns about the unequal impacts of places on both health for different groups in Scottish society. She highlighted links between physical and mental health. The geographical variations in mental health and wellbeing, and inequalities between rich and poor areas, are a major issue for public health in Scotland, as in other countries, so research is important to help to identify the places where health disadvantage is most concentrated and needs for mental health care are greatest. This said, not all of the people most at risk of poor mental wellbeing and mental illness live in the poorest areas, so that there is also a need for information on the social and geographical pattern of mental health problems across the whole of Scotland. Dr Douglas particularly noted the range of aspects of the environment that are important for health. Her comments drew attention to the range of partners who need to collaborate to address actions to improve the various environmental factors that are beneficial for wellbeing and can help to prevent mental health problems. 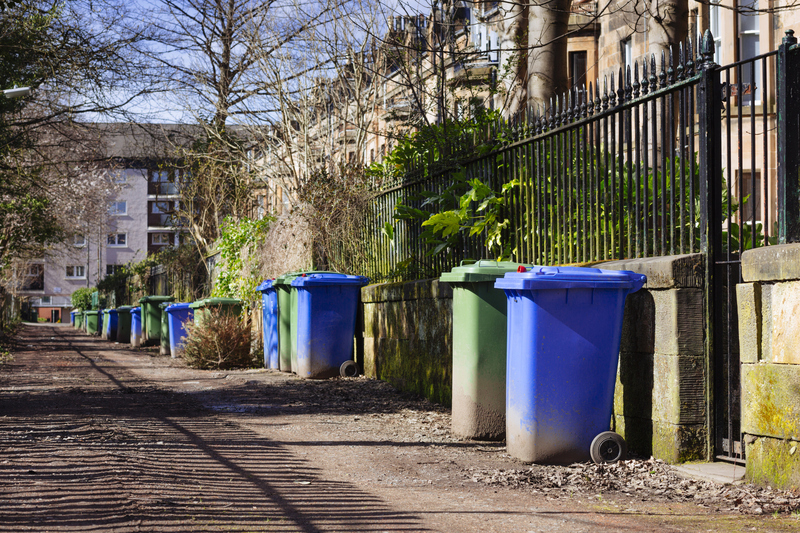 The Scottish Health and Inequalities Impact Assessment Network has produced documents summarising evidence on several aspects of the environment including community venues, greenspace, transport and housing. These comments were reinforced by Johnny Cadell, from Architecture and Design Scotland, who underlined the significance of Scottish Government architecture policy (Creating Places), Scottish Planning Policy and the Place Standard, which promote healthy environments across Scotland. The Place Standard is a joint initiative between Scottish Government, Health Scotland and Architecture & Design Scotland. The discussion highlighted the strong interest in how good urban design can benefit mental health. We noted that there is very good potential for the transfer of knowledge from research into policy and practice, and this is gaining momentum through collaboration between researchers and government agencies promoting various initiatives, such as work by the Design Council entitled ‘Active by Design’ and, in Scotland, initiatives such as ‘Good Places Better Health’, ‘Go Well in Glasgow’ and, most recently, the development of the ‘Place Standard Tool’ to guide local development. Increasingly, Health Impact Assessment is being applied to interventions outside the medical sector, to ensure that health impacts of new urban developments are considered at the planning stage. The Place Standard brings together commitments in architecture policy (Creating Places) to produce a tool linking spatial design with the health/wellbeing agenda and the commitment in Good Places Better Health to produce a ‘Neighbourhood Quality Standard’. Those involved in Good Places Better Health and Go Well were closely involved in the design of the new tool. 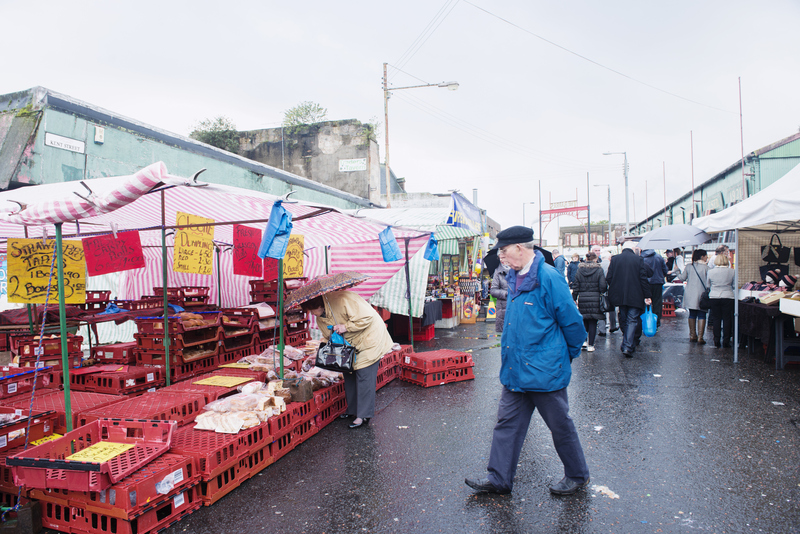 Frances Simpson, from Support in Mind, helpfully drew attention to the fact that a good deal of research is currently focussed on more urban communities, but that it is also important to understand the experience of the rural communities in Scotland. Among a range of activities promoted by Support in Mind is a project that is currently collecting valuable information on what it is like living with mental ill-health in rural Scotland. Communities in rural areas may benefit from greater proximity to extensive green spaces than those living in cities, but there are other issues such as social isolation and exclusion, and problems of access to the right kinds of mental health services, which need to be considered in rural settings. These points resonate with an article recently published by Hester Parr and Chris Philo in The Geographer magazine reporting research involving participants in rural areas. Hugo Whitaker, from the charitable organization Cyrenians, also pointed out that recovering from mental illness can be a long process and that access to supportive environments over time can be very helpful to restoring mental wellbeing. He provided examples (including 2 film clips) of how community gardens and healthy activities organised in grounds that are part of NHS estates can help to restore and maintain good health. A number of useful film clips have also been published by the Green Exercise Partnership to help spread the word about this kind of activity (see example film here), as well as recordings of individual accounts from the perspective of those involved in design and planning (here) and stories of patient users’ experiences: (here). Also relevant to this debate is the Our Natural Health Service action programme. It shows how “high quality local greenspace, supportive nature-based projects, and better links between health and social care practitioners and the environment sector, can be part of the solution to many of Scotland’s health issues.” NHS Lothians’s report ‘Health Promoting Health Service: Action in Secondary Care Settings’ issued by the Chief Medical Officer in October 2015 includes targets on “current use and improved plans of the outdoor estate for physical activity (green exercise and active travel) for staff, patients and the local community” as well as targets for staff health and wellbeing. The debate included further comments from a number of other members of the audience. Points made by the panel about long term effects were picked up on by a retired General Practitioner who practised in one of the most deprived areas in Scotland. He commented that deprivation was transmitted across generations and that the conditions causing mental health problems in one generation would resurface in the next generation who were also treated in his surgery. Research reporting on the environmental experiences of people at different life stages was considered. For example, experiences of adolescents were commented on and it was pointed out that mental health problems can become apparent relatively early in life, and that young people have relatively little control over the social and physical environment, so it is important for their voices to be heard in environmental planning processes. Aspects of the environment that are beneficial for wellbeing of young people vary from those which are important for adults, so their experience needs to be taken into consideration. Individuals with different characteristics may react quite variably a given environment and research can help to improve understanding of how places interacting with personal characteristics relate to mental wellbeing. It was noted, for example, that people vary in terms of cognitive and physical abilities and that making public spaces well adapted and inclusive for people with a range of abilities can help to promote mental wellbeing for all ability groups. Other comments underlined the importance of a sense of autonomy and freedom to exercise independence and choice in the way we interact with our environment. It was noted that it was not only the visual aspect of the environment that was important, and that it was important for architects and others designing the environment to be sensitive to aspects such as noise levels and ambient temperature which can also affect one’s sense of wellbeing in a particular setting. Overall, this event clearly demonstrated the breadth of interest in the question of why places matter for mental health and wellbeing. The panel were very grateful to the audience for engaging in the discussion and making such thoughtful comments and to SciFest for organizing the event. We felt this was a good example of how academic researchers and others with relevant ideas and experiences can join together to ‘co-produce’ our understanding of the research agenda and how research can help to inform action. We hope to be able to keep in touch with participants, via the CRESH webpages and blog, in order to share future research findings and knowledge of what is important for our wellbeing in the places where we live.